What does it take to get a major seller of cloud-based media to support Linux? Apparently, implementing Linux support on your own, then waiting two years for the vendor to catch up—or so the recent news that Netflix plans official support Linux (or at least Ubuntu) suggests. It’s been almost two years since the valiant efforts of open source hacker Erich Hoover made it possible to run the Netflix client for Windows on Linux using Wine. Soon, that hacked-up solution may no longer be necessary. A Netflix developer recently reported on the Ubuntu mailing list that the software will run seamlessly in the closed source Chrome browser (though not its open source cousin, Chromium) on Ubuntu with just a couple minor changes to the environment, which Ubuntu developers can push out automatically via updates. No one at Netflix is saying why the company finally decided to make good on the promises it has been making, and not fulfilling, since at least 2011 to bring its cloud-based video streaming to Linux. The decision to discard Microsoft Silverlight as part of the Netflix software stack undoubtedly had much to do with it. But it also seems likely that the open source community’s success in implementing Netflix for itself was a factor, too. In one way, this is positive news for the open source world. It shows that big companies will eventually listen to longstanding demands for official Linux support—if Linux users unofficially build what they want on their own first. On the other hand, Netflix’s decision to create a Linux client at this point is a bit disappointing, since all of the effort Linux hackers put in to making Netflix work via Wine could have been better expended elsewhere if Netflix itself had delivered the support a long time ago. In addition, there are few foreseeable benefits to having a native Netflix client now, because the Wine version already works very well on Linux and is pretty simple to install. 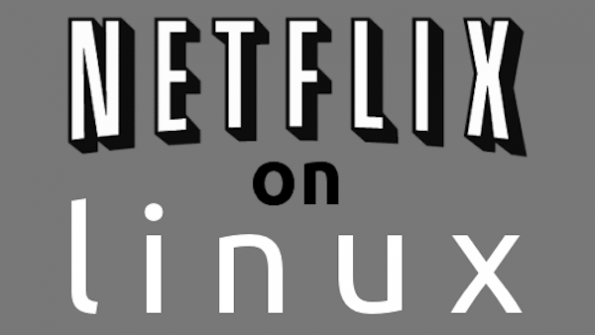 Short of making it possible to include packages in the “Canonical Partners” repository, it’s not clear what value Netflix is really bringing to the desktop Linux world by duplicating what Hoover and others already did. Maybe I’m being too harsh on Netflix, though. At least the company didn’t visibly try to prevent the Wine-Netflix hack from working over the past two years, or reject any kind of engagement with the open source community. It just took a really long time to do what it said it was going to do in bringing Netflix officially to Linux, and now that it has finally done it, it doesn’t matter too much anymore. But Netflix could be worse. It could be Adobe, for instance, whose major productivity apps generally don’t work on Linux. Or it could be Apple and make it a violation of an EULA even to install Linux. Ah, Apple. there may have been people who called them, or wrote them, to ask for the support. Personally, I did that way back when Hoover (All praise!) offered the first ppa. Of course, they committed to nothing – at that time. You refer to a Linux client, but what finally made Netflix work on Linux isn’t a client, but the move by Netflix to support HTML5 and the ability of Chrome to pretend it’s a Windows browser by manipulating the user-agent string. As for Wine solutions being what drove this, I don’t believe that for a second. The ability to use Netflix on Linux was simply a side effect of the change to HTML5, and while they may be acting like they did something good for the Linux crowd, it was really just their switch from the proprietary Silverlight platform to an open standard that is implemented in Linux browsers. BTW, I already get Netflix on my Fedora Linux system by virtue of running the development build of Chrome and using a user-agent plugin, so saying that they will support Ubuntu is not accurate. They will support any distro with the right version of Chrome and nss libraries. When I emailed them about using HTML5 they said they would look at it when the security/encryption extensions of HTML5 were implemented. They provided a nice prompt and meaningful reply. It matters even less with the use of of pipelight and agent switcher. This works with all Ubuntu derivatives. Chrome: Runs better on windows when compared to linux or mac. Skype: Windows version is way better and ahead of linux version. There may be many more but I remember only two. I think it had much more to so with silver light going end of life than anything the Linux community did. Eme support on chrome was the clincher. There was nothing Ubuntu specific about Netflix coming to Linux. All it requires is the updated NSS, Google Chrome v37+ and for the time being a user agent spoofer, that’s it. No special Ubuntu patches that would make it Ubuntu only. But when making something like this work you need a test bed, and that usually means the largest community you can get in one shot… Ubuntu has just that. Not to mention every major distribution out there right now is either a spin or a derivative of Ubuntu ( Mint and eOS to name a couple of popular ones ). So the community is huge, if nott he single largest Linux community out there. You also have to pick a distribution that updates fairly often. This pretty much kills Debians chance or others that don’t roll out updates. As then you’re kind of stuck in a feature freeze almost and we’d be waiting forever to get support from companies that require updated libraries. And on the flip side, you don’t want to be specific to the bleeding edge ( Arch, etc ) that are constantly up to date, then you alienate just about everyone. Ubuntu’s 6 month release cycle sits basically right in the middle of everyone, it’s old enough to be “stable” but not exactly new enough to be bleeding edge. The only ones that would then have to use a work around at this point is Debian ( either compile it on their own or back port it from unstable/experimental ). It’s not officially supported until we can use it without changing the User agent. In fact it appears to me to be the exact opposite. An intentional attempt to block linux. It may run native, but it’s not supported.